Potatoes are not the most asthetically appealing of nature’s bounty — they’re mostly the color of earth, they burrow down underneath all that soil, and often they are mottled, wrinkly and specked with a couple tuber-moles. Even the few potatoes, that hide purple and starburst flesh underneath their skins are homely at best on the outside. However, the utility of the potato and the delicious richness and body it adds to any meal is much more than skin deep. Thankfully, accessing that wealth requires only a little preparation and patience. 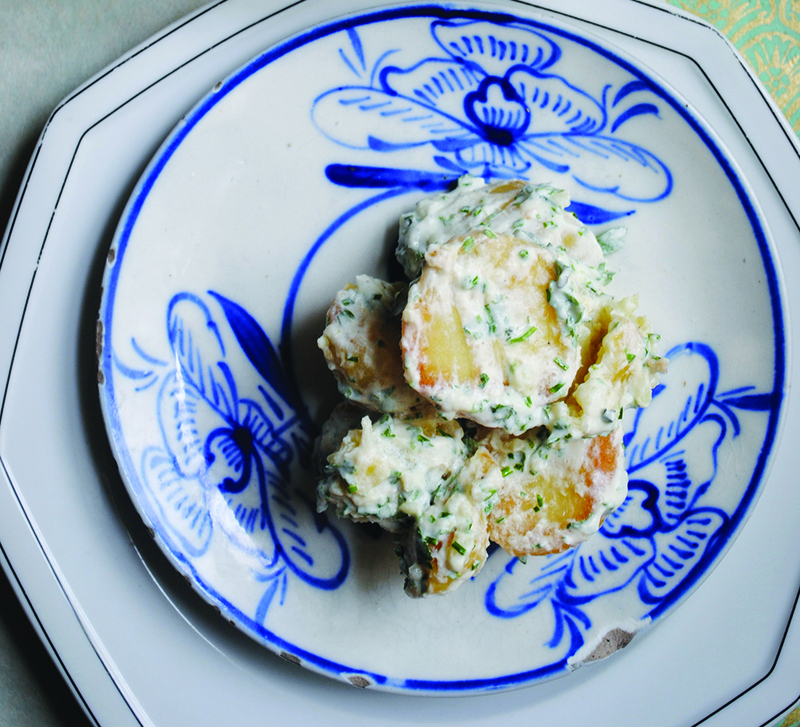 Here are four recipes that celebrate the potato in all its rich, earthen glory — two master recipes and two ways to adapt the leftovers into something as delicious as the original, yet completely different. Believe it or not, the humble potato has more than a few tricks to reveal underneath that rough skin. Which, as it turns out, you can eat too. 2. Bring pot of salted water to a boil then reduce to a simmer. 3. Wash and peel potatoes, then halve. 4. Add potatoes to water and bring back up to a boil. Then reduce to a simmer and cook for 5 more minutes. Drain and set aside. 5. Combine the garlic halves, olive oil and butter in a 9” by 13” baking dish. Heat in oven until butter is melted. 6. Put the drained potatoes in baking dish with butter, oil and garlic and toss until completely coated. Season with salt and pepper (about ½ teaspoon salt and black pepper to taste). 7. 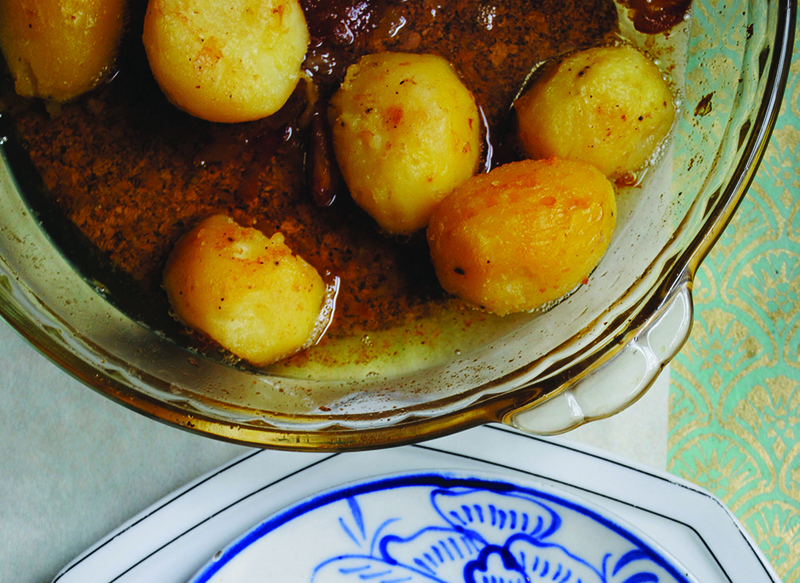 Roast potatoes in oven for about 30 minutes, or until golden brown and tender when pierced with a fork. Let cool a couple minutes before serving. 1. Bring leftover potatoes to room temperature and place in a large bowl. 2. Whisk together the yogurt, mustard, olive oil, herbs and lemon juice in a separate bowl. Season to taste with salt and black pepper. 3. Add dressing a little bit at a time to the potatoes, roughly mashing them as you go but reserving large, inch-sized chunks until the salad is dressed to your liking. Serve immediately or refrigerate until further use. 1. Bring large pot of salted water to a boil. 2. Add potato chunks and boil for about 20 minutes or until tender when pierced with a fork. 3. Drain reserving about 1 cup of cooking liquid, and return potatoes to cooking pot. 4. 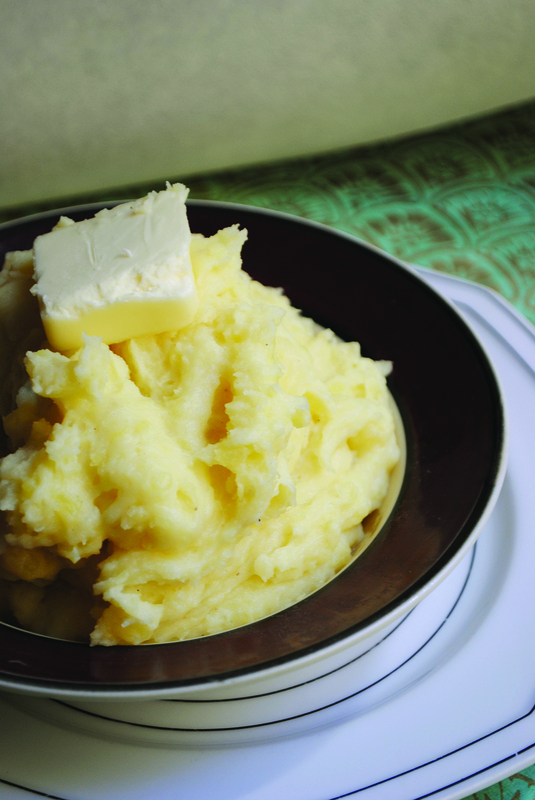 Add butter and ¼ cup of milk, cream or cooking liquid and mash potatoes together with a fork, whipping as you go. 5. Add more liquid if a looser consistency is desired. Season to taste with salt and pepper and add additions like roasted garlic, Parmesan cheese, fresh herbs, etc. Keep covered until ready to serve. 2. Melt 1 tablespoon butter in a medium-sized skillet. Sauté onion for 5 minutes over medium heat until translucent. Add garlic and sauté for an additional 3–5 minutes. Remove from heat. 3. Stir together onion and garlic, leftover mashed potatoes, Parmesan cheese, chopped leftover vegetables, flour and fresh herbs in a separate bowl. 4. Melt a bit of butter in the skillet over medium heat. 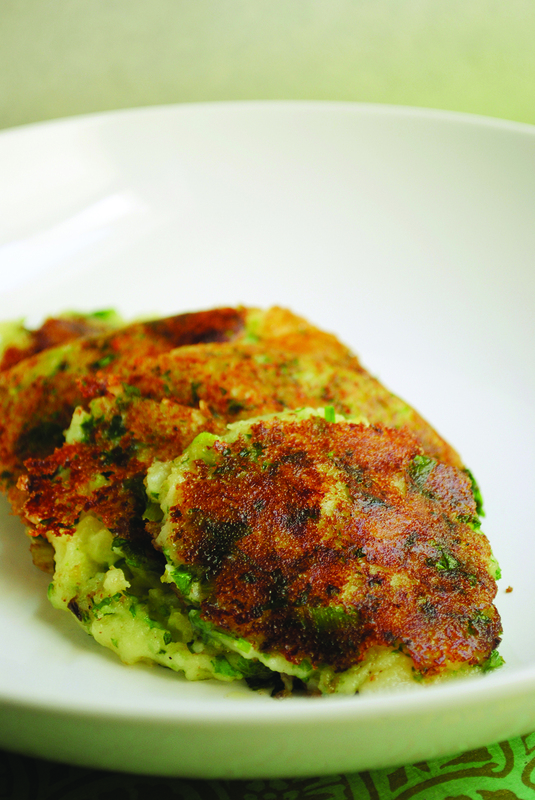 Shape ¼ cup-sized balls of the potato mixture into ½-inch thick patties. Fry each patty until golden brown on each side, about 3–4 minutes each. Serve immediately.